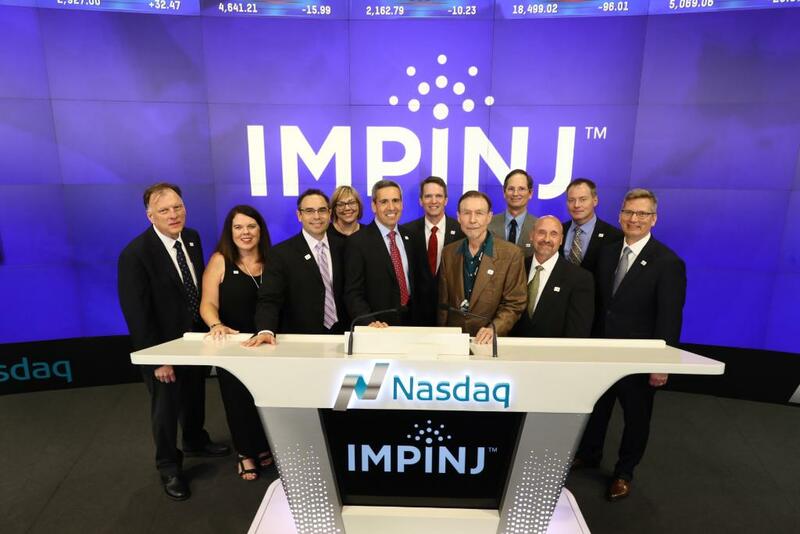 Impinj, the Seattle-based RFID company founded by UW CSE professor Chris Diorio and his Caltech Ph.D. advisor Carver Mead, made its debut on Wall Street today to great fanfare. Impinj is the first Seattle technology company to go public in 2016. “Wall Street likes what they see in Impinj, a 16-year-old Seattle-based maker of Radio Frequency Identification technology that today went public on Nasdaq at $14 per share. That was the upper end of the range for the company, which makes RFID chips that allow retailers to track inventory or manufacturers to track parts…. Congratulations to Chris, Carver and the entire Impinj team! And also to the investors who have stood by the company – particularly our good friends at Madrona Venture Group, which has backed more than a dozen UW CSE startups. Read all about it on GeekWire here, TechCrunch here, and Xconomy here.